Every day, Bridgewell Resources connects with valued customers around the globe, working to supply a comprehensive range of products to highly diversified markets with exceptional service and support. Yes, we are a business dedicated to the supply chain management of vast product lines. But to the manufacturers, distributors, builders, retailers, contractors, utilities, and in many cases, municipalities, who place their trust in us to deliver, we are partners. Each Bridgewell division offers a comprehensive product mix, combining tried and true commodities with innovative product lines to meet current trends. We are always ready to deliver from available inventories. As one company with distinct product divisions, Bridgewell is greater than the sum of its parts. We maintain synergy at our center by sharing values, strengths, and resources. With our wholly owned subsidiaries, Bridgewell adds depth and breadth to our product offering while strengthening our position as a comprehensive global resource. We are ready, willing and able to deliver. Longtime Bridgewell customers know we are a company that values our working relationships. As troubleshooters and creative problem solvers, we rise to every challenge. We have the knowledge, experience, and financial stability to address cost savings from every angle. And because we know what’s at stake for our customers, we will invest the time and energy to see a situation through to a satisfying conclusion. This is standard Bridgewell operating procedure—whatever is needed, whatever it takes. Equal parts teamwork, communication, and creativity. 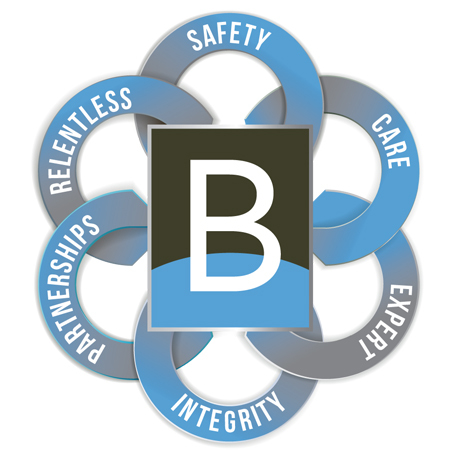 Join our Bridgewell team and you’ll be part of a growing global organization that sets a very high bar for building and nurturing long-term relationships with customers and suppliers. We believe a casual, flexible work environment encourages teamwork, communication and creativity while bringing out the highest potential of our employees. We are committed to providing a challenging, rewarding work experience with outstanding benefits.